Mahatma Gandhi once said that “be the change you want to see in the world.” Giving back to the society is a good way of changing the world and making it a better place to live in. And, Sagar Bansal, who is an eighteen-year-old information security consultant from India, is trying to be the change he wants to see in the world: by giving back his earnings to support needy students in advancing their education. When he was 12 years of age, Sagar developed a website that was later brought down by hackers. Thereafter, he developed an interest in learning cybersecurity skills to protect his web properties from such types of attacks—instead of allowing the predicaments to becloud his passions. Over the years, the young man has gained useful skills in information security; and he has created several best-selling courses to establish a footing in the industry. Currently, he works for some big companies as an Information Security Consultant and also runs his cybersecurity company called PHMC|SECURITIES. Evidently, Sagar has achieved more than most of his peers—and he’s still committed to helping others in realizing their dreams. When he finished High School, Sagar wanted to take a course in information technology, especially in cybersecurity, but his family forced him to take a business course. Since he didn’t have enough “voice” and resources to refuse his family’s decisions, he reluctantly took the course but later dropped out. Sagar is dedicated to assisting passionate students experience a bright future. “I have a dream to make a world where schools and universities are not important; no value for degrees and resumes. I think that the passion to learn is the biggest asset anyone can have,” he said. Furthermore, when going to college, Sagar has noticed that some students drop out because of lack of fees to further their education. Because of his passion to see students realize their dreams, he will donate his earnings to support the ones without fees. Sagar is using LiveEdu.tv, the leading decentralized project learning platform, to teach people hands-on cyber security skills. While project creators on the platform are usually paid for teaching people future technological skills, Sagar is taking a bold move to donate all his earnings to charity instead of pocketing for his own use. He is really a young man with a big heart! You can support his worthy course by registering for his projects, such as The Art of Social Engineering here. Apart from getting involved in charity work, you’ll also gain essential information security skills to assist you in taking your career to the next level. LiveEdu is a Los Angeles-based blockchain education company that equips learners with practical skills on creating complete products in future technological fields. 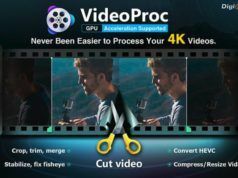 It’s the world’s leading project learning platform where you can take your skills to the next level by watching experts build real products from the fields of programming, game development, data analytics, design, augmented reality, virtual reality, cybersecurity, artificial intelligence, and cryptocurrencies. 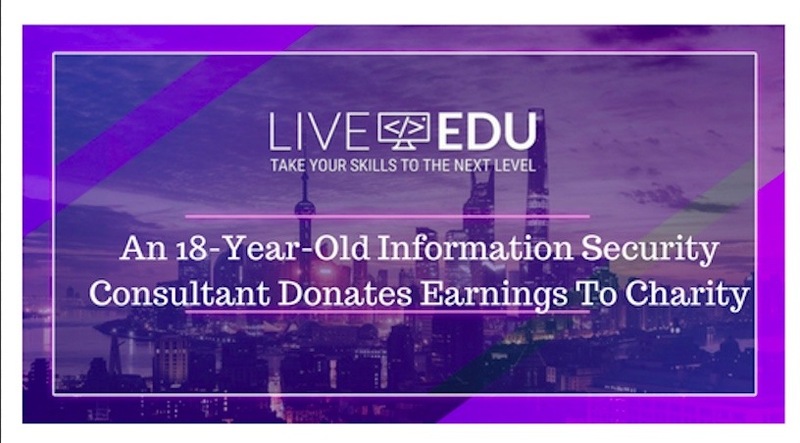 Students on LiveEdu use LEDU tokens to buy subscriptions to watch projects, download projects and ask experts questions. 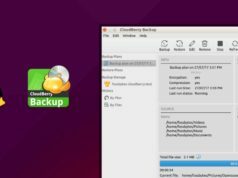 How To Back Up Your Linux Data To Amazon S3 With Free CloudBerry Backup?